Waterproof paint won't help much if you have a serious basement leak. 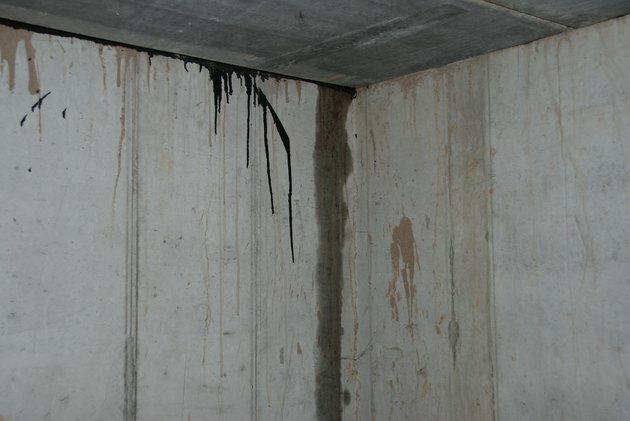 Water seepage through concrete basement walls is a common enough problem—and a serious enough one—to have created a healthy market for waterproofing paints. These products may be oil- or water-based, and they are heavier than conventional paints because they contain additives that promise to create an impermeable water barrier. Depending on the severity of the seepage, you may get temporary relief by using one of these products, but don't expect the solution to be permanent. The problem isn't the quality of the paint—similar waterproofing paints can last for ten or twenty years on a roof. The problem is that no paint can withstand the hydrostatic pressure of groundwater pushing against a foundation forever. And there is another consideration to think about. When the foundation paint starts to fail (as it inevitably will) you'll probably have to strip it off before you can apply a refresher coat, which is a big job. If you don't do this, the fresh paint won't stick to the walls. If you have serious water incursion in the basement, alternatives to painting include improving drainage and installing waterproof panels. Even a rudimentary drainage system can control seepage better than paint. 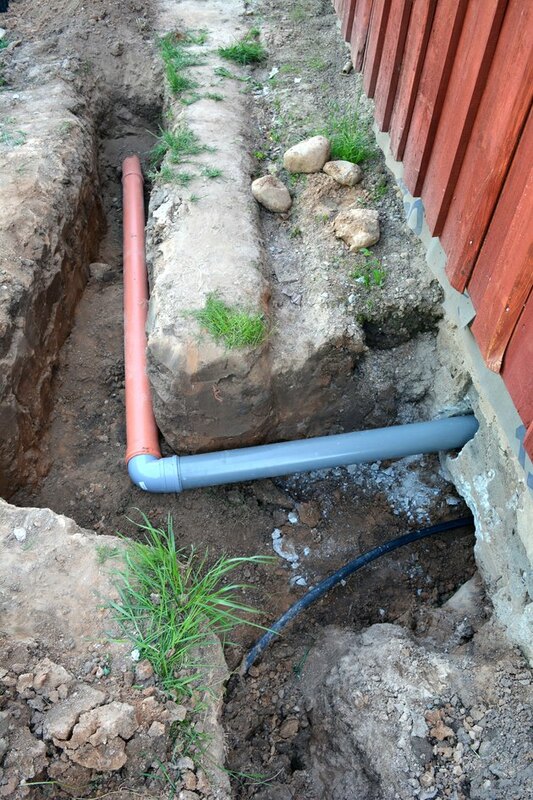 During construction, it's the job of the builders to handle drainage and waterproofing from the outside. At the very least, they should install a waterproof barrier around the outside of the foundation, but if the water table is high, they should also install a drainage system. If this hasn't been done, seepage is bound to be a problem, and attempting to curb it with a coating on the interior walls is like trying to stop a pipe leak by painting the pipe. Like the water in a pipe, the groundwater around a foundation is under pressure, and it's this hydrostatic pressure that forces it through poured concrete or concrete blocks, which are somewhat more porous than brick or tile. Paradoxically, porosity is a prerequisite for some waterproofing paints, which have to penetrate the surfaces in order to be effective. Waterproofing paint won't adhere well if there is moisture in the pores when you apply it, so you have to be meticulous about drying out the concrete before painting. You also have to be meticulous about getting the paint in every pore to form a continuous, sealed barrier. If you leave even a small opening, water can (and will) pass through. The best way to apply waterproof paint is with an airless sprayer. The job can be tedious if you have to use a brush and roller, and the chances of leaving voids in corners and other tight spots are higher. 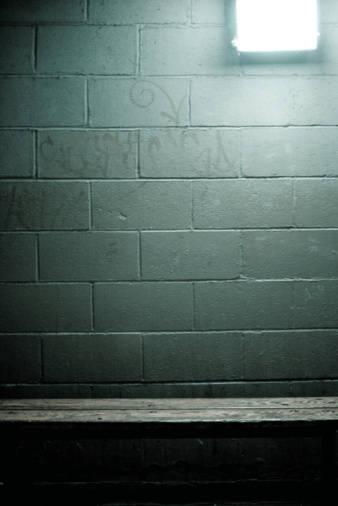 You should not apply waterproofing paint to a wall that is cracked or damaged. Also, keep in mind that, if the wall cracks after you've painted it, the paint won't work and the warranty will be void. Thoroughly clean moldy walls before painting or the paint will peel. Waterproofing paint is designed to withstand pressures in the range of 8 to 12 psi. Groundwater is typically under higher pressure than that, so if you have active leaking in your basement walls, waterproofing paint won't stop it. It may actually make matters worse by peeling off in short order, creating a mess where there was once only a water problem. But because it creates a vapor barrier, waterproofing paint can provide relief from occasional dampness that drives up the humidity in the basement and promotes the growth of mold. If mold is the main moisture-related problem in the basement, be sure to clean it off the walls thoroughly with soap and water before painting, or the paint will probably peel. Keep in mind that waterproof paint doesn't inhibit mold growth and won't solve your mold problem if the moisture in your basement moisture is simply due to condensation caused by poor ventilation.